The joint team overseeing the Accessible Environment for Persons with Disability Project has successfully completed Phase I of the project. 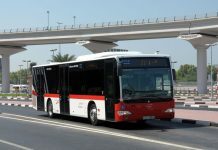 This Project is undertaken in collaboration with the General Secretariat of the Executive Council of Dubai Government, Community Development Authority, Roads and Transport Authority (RTA), Dubai Municipality, public & federal entities, key real estate developers in the emirate as well as scores of people with disabilities and other concerned parties. The Team has examined & analyzed the current situation, identified & overcome obstacles in the way of achieving the best results towards providing disability accessible environment in the emirate, in a way that realizes Dubai’s vision of becoming a disability-friendly city by 2020. 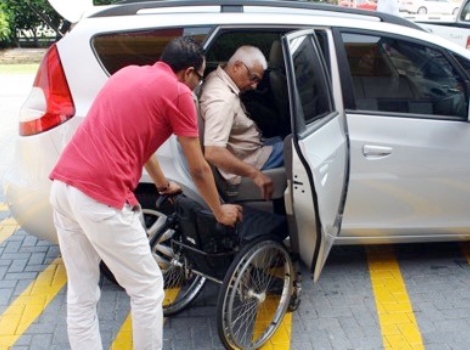 The project also aims at promoting the initiative of His Highness Sheikh Hamdan bin Mohammed bin Rashid Al Maktoum, Crown Prince of Dubai and Chairman of the Executive Council, entitled “My Community … A City for Everyone.” This project is one of the key deliverables of the Dubai Disability Strategy, launched by His Highness Sheikh Mansour bin Mohammed bin Rashid Al Maktoum, Chairman of the Supreme Committee for Protection of the Rights of Persons with Disabilities. 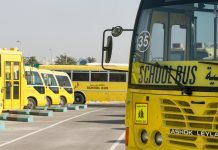 “Interviews have been conducted with specialists across disability-friendly environment at government & semi-government entities, private sector institutions, and a large number of people with various impairments to screen their views & experiences in Dubai, in terms of readiness of the urban environment & transit modes to meet their needs & aspirations. The team examined all legislations & laws related to the disabled as provided for in the Federal Law No. 29/2006, and the Local Order No. 2/2014. The team conducted benchmark studies with relevant laws & regulations in Germany, United States, France, Canada, Spain, Saudi Arabia, England and Singapore in terms of urban environment and transport sector for people with disabilities. These benchmark studies covered codes, specifications and standards relating to the accessible environment,” continued Al Reda. “As a first step, some gaps have been identified before starting the upcoming phases of the project. These gaps are highlighted by the existence of multi specifications & benchmarks used in designing & building the accessible environment for persons with disability in Dubai. The team has also identified a significant shortage of technical personnel specialized in this environment & applications, and spotted an inaccurate practical implementation of stipulations set forth in legislations & laws. 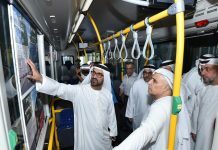 It has been recommended initially to revise the executive regulations of these legislations, laws and standards at the emirate’s level to render Dubai a model to be emulated regionally and globally in terms of accessibility, and the design of an urban environment & transport modes for the disabled,” elaborated Al Reda. Two workshops have been held of late as part of the Accessible Environment for Persons with Disability project to discuss the disability-customized design of urban environment and public facilities. The workshops were part of several phases intended to develop appropriate policies & standards for people with disability.